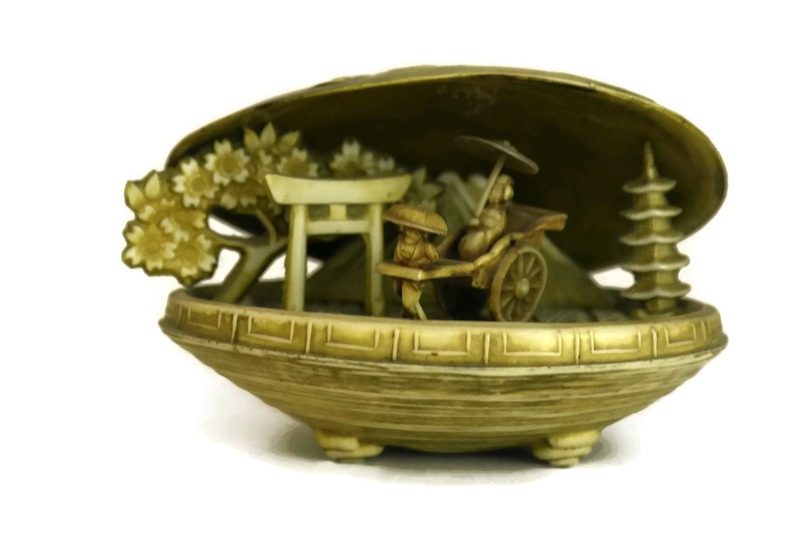 Japanese Souvenir Clam Shell Diorama. 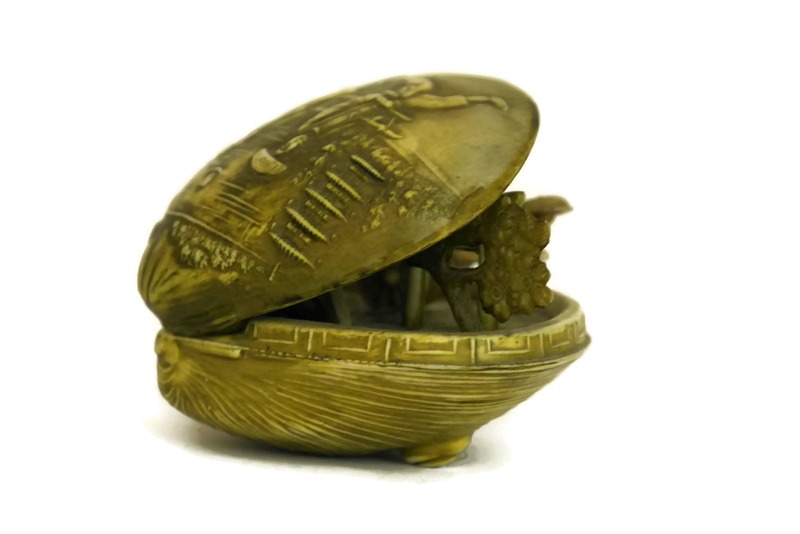 Vintage Celluloid Seashell Figurine. 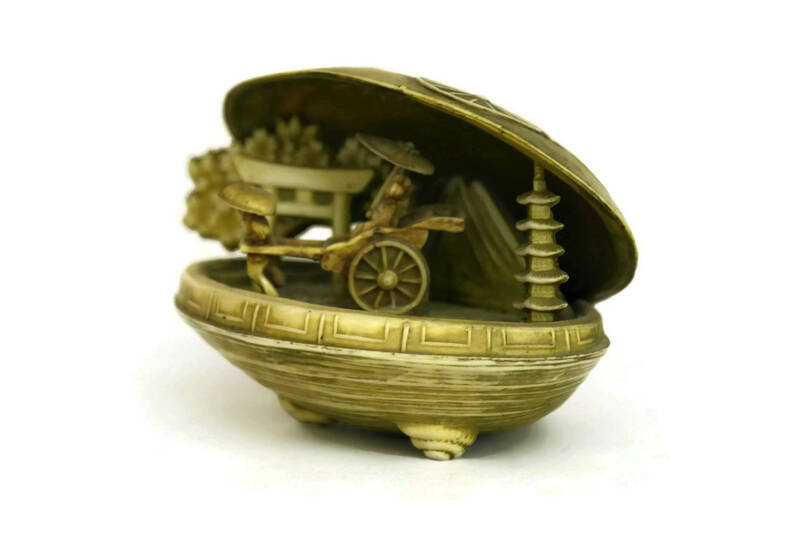 Asian Decor and Gifts. 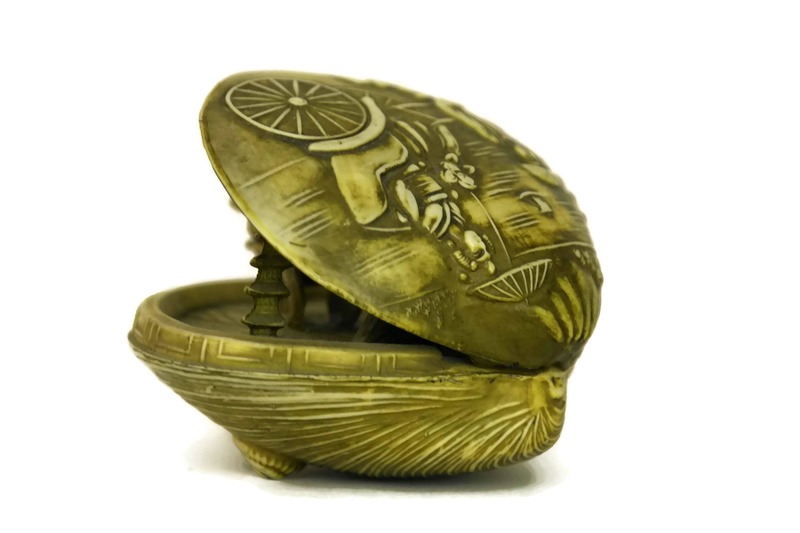 Sea Shell Collectible. 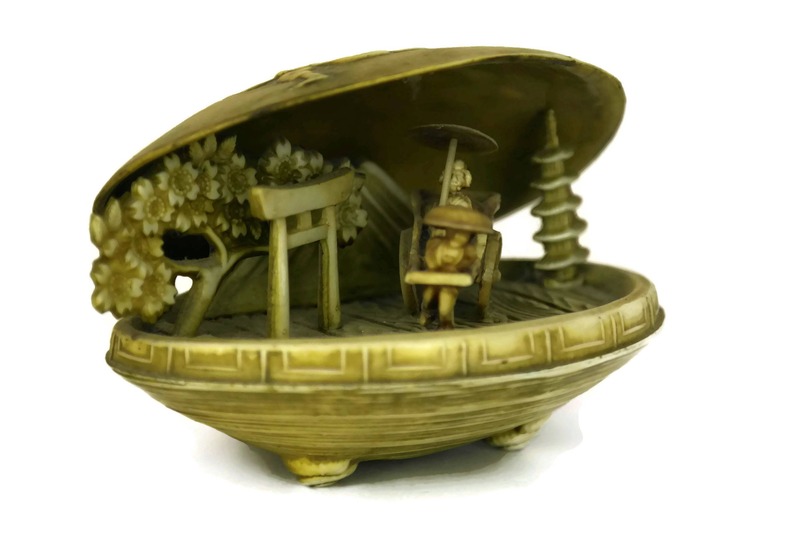 A lovely vintage Japanese souvenir clam shell diorama from the 1940s. 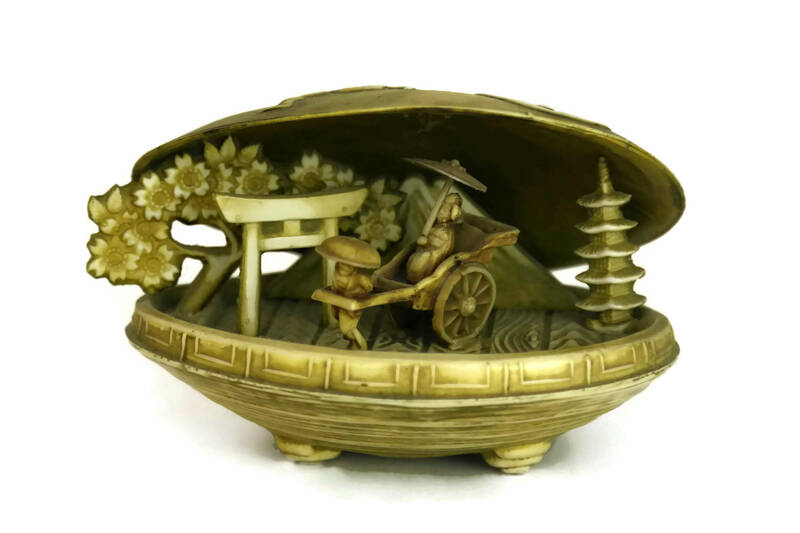 The seashell figurine has been carved from celluloid and features a miniature Asian scene with Mount Fuji, a temple, pagoda and rickshaw. 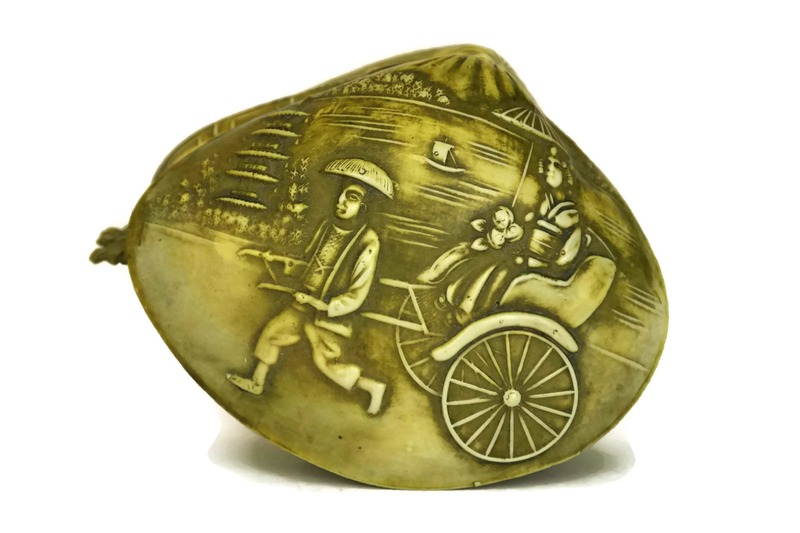 The lid of the sea shell has been decorated with an image of a geisha in a rickshaw. 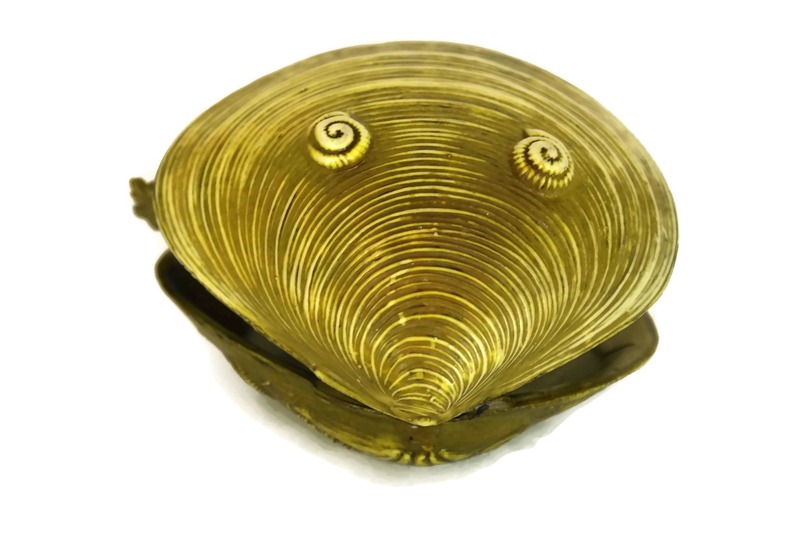 The underside has two little shell shaped feet. 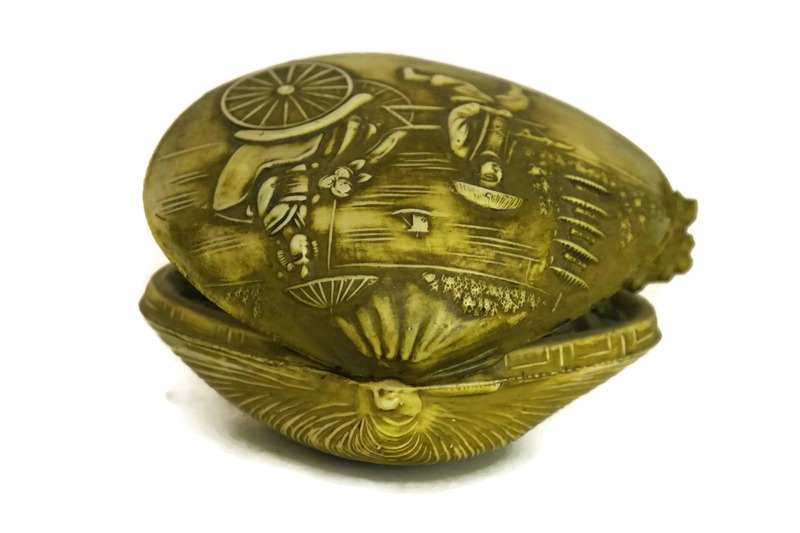 3" Long x 2" Tall x 2" Wide (8 cm x 5 cm x 5 cm). 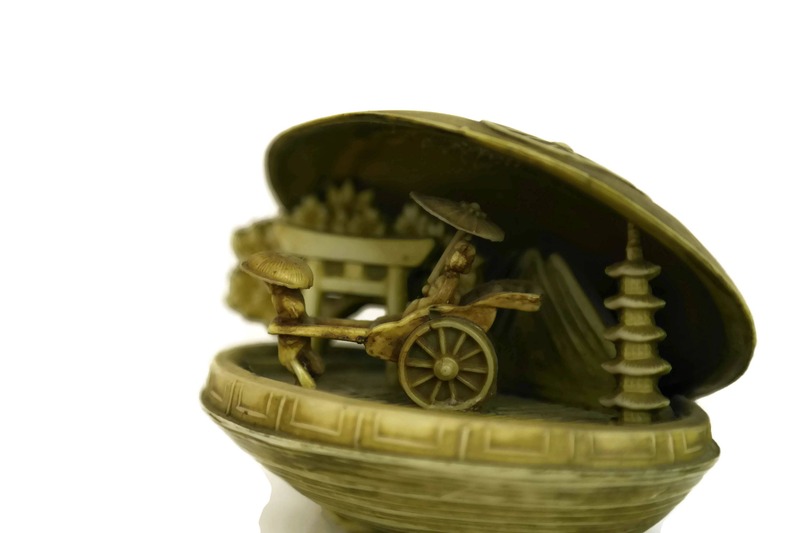 The clam shell diorama souvenir is in good condition with some signs of age including patina to the exterior.